MARYLAND 51, East Carolina (Pirates, 20,974 students, Greenville, NC)20 – AP - Ralph Friedgen soaked in the chants and fought back a few more tears. He gave a parting gift to his alma mater—the highest point total Maryland has ever posted in a bowl game—then followed it with a parting shot at the administration that fired him. Already the ACC coach of the year, already the engineer of the second-biggest regular season turnaround in the country, Friedgen ended his 10-year run with the Terrapins on Wednesday with an impressive victory over East Carolina in the Military Bowl. 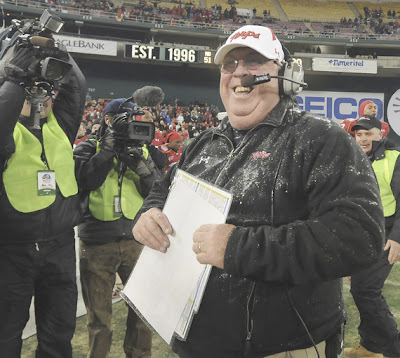 Patrolling the Maryland sideline one last time, holding his customary playsheet and wearing a white cap with the word “Terps” in red, Friedgen wound up a 9-4 season and a 75-50 Maryland decade that includes a 5-2 record in bowl games. Fans held up signs and banners proclaiming “Thanks Ralph” and chanted his name through much of the second half. He got the customary ice-bucket bath from his players with 2 1/2 minutes left in the game. For more from the Washington Post, click here. 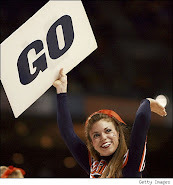 For more from the Baltimore Sun, click here.